Happy Monday AMW Friends! How was your weekend? Mine was great! I was able to leave the house last Saturday and do a bit of shopping! I went a bit overboard and got the headache on Sunday! *laughs* It's okay, as I get to visit my mom and dad too!!! 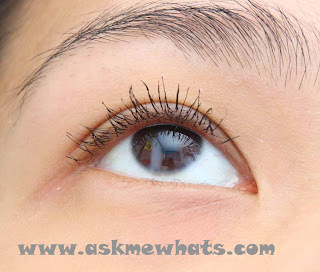 Today, I will be sharing a review on Bobbi Brown's Intensifying Long-Wear Mascara. The mascara comes in a gorgeous metallic mascara tube with a slim brush that makes it unique as compared to other mascaras I've used! Ease of application due to brush size. I can reach even the shortest lashes without messing up my eye makeup. Formulation is just right, not too wet nor dry. Comes off easily with regular eye makeup remover. If you're looking for "drama" this mascara isn't for you. Doesn't have the volume some may want. Gives the lashes extra definition and length in a very natural way! The strong point of this mascara is its wonderful wand that makes it easier to reach even the shortest lashes. Formulation is just right so it never clump my lashes or weigh down the curl. Curl your lashes well prior to mascara application. Coat your lashes as many times as you can as this mascara never clumps. If you are the type who tends to scratch your eyes, take cotton buds with you as some of the mascara flakes may appear mid-day. 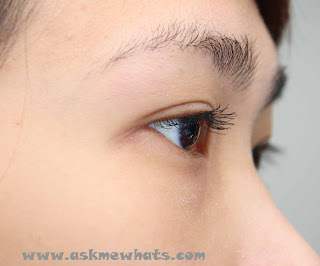 Remove with gentle eye makeup remover or warm water with soap. Anyone looking for natural-looking lashes but with the great definition and natural effect! At local Bobbi Brown counters for Php1,550 (approx $36.00). Have you tried any products from the Bobbi Brown Long-Wear line? Would you give this super lengthening, unique brush mascara a try? I personally have been using this on days I wear minimal to almost no makeup as it gives my eyes the definition I want even without eyeshadow or liner! Ay bongga nga :) Like Maybelline Cat Eyes (my super fave mascara ever). Might try this out! Mwah! for what it can do, i think it's really pricey! i think any maybelline mascara can beat that. i recently ordered a tube of Benefit That's Real mascara :D can't wait for it to arrive!!! I know what you mean Xin!!! We always wanted to get the best of both worlds (volume and Length) if the price is high! It looks lovely on you! I prefer something more dramatic though so I'll pass. hahahah I know what you mean! Good drugstore brand for mascaras talaga ang Maybelline!